A cave complex in Thailand where 12 schoolboys and their soccer coach were trapped for more than two weeks before they were safely brought out will be turned into a museum to showcase the rescue, the head of the operation said on Wednesday. “This area will become a living museum, to show how the operation unfolded,” the head of rescue mission, Narongsak Osottanakorn, told a news conference. A guide book describes the relatively unexplored Tham Luang cave as having an “impressive entrance chamber” leading to a marked path and then a series of chambers and boulders. He said plans were in place to “revive” an adjacent national park where hundreds of rescue workers and military personnel set up camp during the search and rescue. 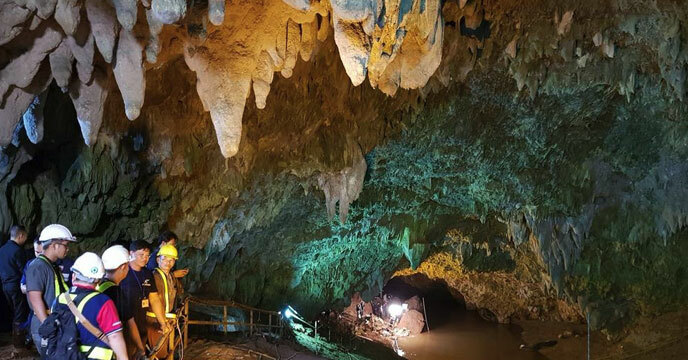 Superstitious Thais have been gripped by a legend about the cave - the full name of which is Tham Luang Nang Non or “cave of the reclining lady”.